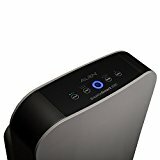 Alen - BreatheSmart Flex : Air Purifier Review • The Air Geeks, reviews of air conditioners, dehumidifiers and air purifiers. The BreatheSmart Flex is a customizable air cleaning system that is optimized to capture a wide range of airborne contaminants including pet dander, dust, mold spores, and pollen. 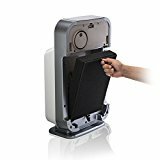 This air purifier is designed for spaces that are up to 700 square feet and it is suitable for bedrooms, living rooms, offices, and so on. In addition, this air purifier employs HEPA filtration to ensure that the air in your space is free from airborne contaminants. If you have been struggling to eliminate airborne pollutants from your room, then you should invest in a good air purifier. The BreatheSmart Flex is optimized to transform the environment of your home by eliminating allergens and other airborne particles. 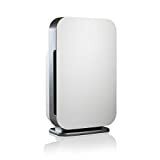 Considering that you could be planning to buy this air purifier for your air cleaning needs, we have tested it to provide you with reliable information about its features and performance. Without further ado, we will start by exploring its features. The BreatheSmart Flex is powerful air purifier that offers unique features such as personalizable designer panels, exceptional cleaning power, and interchangeable HEPA filters. It is customized to meet your unique air cleaning needs. With this air purifier in your home, you and your family will enjoy cleaner and fresher air that is free from common airborne allergens. Are you looking for a suitable air purifier for your medium-sized room? This air purifier has a high air cleaning capacity that makes it a suitable option for medium-sized rooms. The manufacturer recommends this unit for spaces that are up to 700 square feet. This sleek unit can be used to control the indoor air quality in offices, boardrooms, and homes. In addition, the unit features a powerful 4-speed fan that circulates air to ensure that most of the airborne contaminants are captured before they dominate the air in your room. HEPA filtration is one of the most reliable mechanisms for capturing airborne pollutants. The BreatheSmart Flex uses a HEPA-Pure filter to capture airborne contaminants from the air in your space. According to the manufacturer, this unit is capable of capturing up to 99% of air borne contaminants. It effectively removes dust, mold spores, pet dander, and other airborne allergens that can be harmful to you and your family. The BreatheSmart Flex is optimized to enable you to control the quality of air in your room with ease. It has intuitive controls that are designed to allow ease of operation. Replacing worn out filters with new ones enhances the effectiveness of an air purifier thereby enabling you to enjoy fresher and cleaner air. This air purifier also features a filter life indicator that that lets you know the condition of its filters. The BreatheSmart Flex is also designed to enable you to change filters with ease (see a description on the Alen website here). Are you looking for an air purifier that can automatically monitor the air quality conditions of your house and switch to an appropriate mode? If that is the type of an airpurifier that you are looking for, then you need to consider other options. This air purifier does not offer an automatic mode and the user has to change the modes manually. Moreover, it does not feature an air quality indicator. Highly effective. The BreatheSmart Flex is highly effective in capturing a wide range of airborne allergens and other contaminants. If you have been experiencing allergies, this air purifier is optimized to effectively remove allergy-triggering particles from the air in your space. Filter life indicator. The air cleaning effectiveness of an air purifier mainly depends on the condition of its filters. The indicator, therefore, helps you to know when your air purifier needs new filters. Produces a chemical smell when new. We have observed that this unit gives out a plastic smell when it turned on for the first time. The unpleasant smell disappears after two to three weeks. Lacks an air quality indicator. If you are looking for a unit that automatically detects the air quality and displays it, then you need to consider another unit. Relatively expensive. As compared to other air purifiers of same capacity, this unit is more expensive. I was not familiar with the Alen brand but they seem to have good reviews from customers so I decided to spend the extra money and give it a try. We were all suffering from dust or whatever allergies. Coughing, sneezing, runny nose, etc. This machines does help a bit. We're experiencing less of those symptoms after using it. However, it gives out a plastic smell when we first turned it on and it still has it after couple days. I hope it will go away after it has fully broken in. It only has one big thick filter comparing to the Winix I have in my room which has a thin pre filter, a HEPA, and a carbon. (The Winix is very good, too but it's for a smaller area). But the Alen is still very effective. This might be the smallest BreatheSmart series air purifier but it still quite large. And it does move a lot of air. Also note that it says it will cover 700 sq ft on highest fan speed only. It has 4 fan speeds and the manual states that it will cover 200, 300, 400, 700 sq ft respectively. I should've read the description more carefully but unlike its bigger BreatheSmart siblings, this FLEX does not have an automatic mode. So it does not have sensors that detect air quality and the ability to adjust fan speed itself. It does not have blue, yellow, red lights to tell you the air quality. Only a on and off button, fan speed, timer, and child lock button. Also no remote control but that I don't mind. Initial impression is good. Still quite pricy for my taste. We'll see how it performs long term." Great product. However, coming from the big kahuna, this lacks the "auto cleaning" feature where it detects the cleanliness of the air. It also lacks an ionizer. One thing that still seems to persist is a "product" smell. I've been trying to figure out if the filter smells or if it is the plastic this product is made from. I have this in a small room to keep my computers clean, and it has noticeably reduced the dust, so it does what I wanted it to do. Other than the smell and lack of the nice features I came to rely on with the other Alen products, this does the job at half the cost!" The BreatheSmart Flex is a powerful air purifier that is capable of effectively capturing different types of airborne contaminants. It utilizes highly effective filtration mechanisms to ensure that the air in your space is always fresh and clean. Despite its impressive air cleaning performance, this unit lacks an air quality indicator. It may also not be a suitable choice if you are looking for a cheap air cleaning solution. Considering that you now have all the information about this unit, it is up to you to decide if it is the best option for your air cleaning needs.